Update 26 – All new traps and placeables! 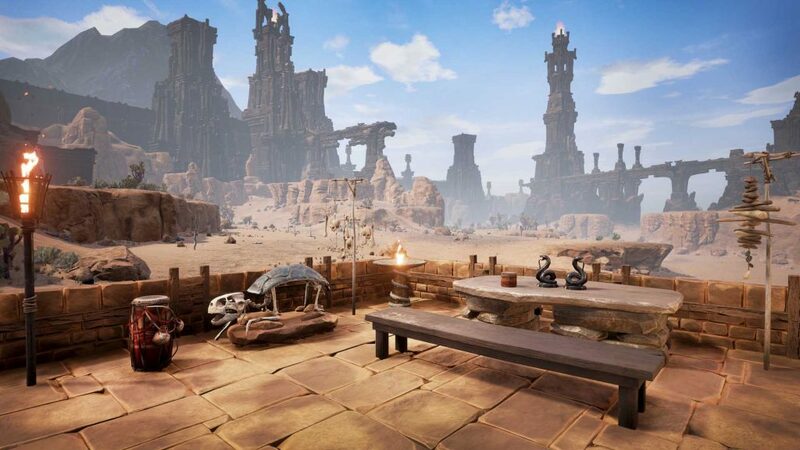 In Conan Exiles you can already make a host of items to decorate your house, camp, castle or even city, and there are also many excellent mods which add more such placeables to the list. But now you can get your hands on even more, as Update 26 introduces almost fifty new placeables, two traps and an update for modders to the game! You can make all new defensive measures to your camp with two new traps. Unlocking the explosives feat allows you to craft an exploding trap and a vapor trap. Both traps can be placed anywhere and will trigger if someone steps on them. However, they will not go off unless that player steps off again. This way the player triggering the trap will have the opportunity to disarm it. If exploding traps are placed quite closely together, they can set each other off in a chain reaction, creating a deadly zone of destruction. It can be a very good strategy to hide traps in grass, or places where they are harder to spot. While exploding traps do a great amount of damage, vapor traps create a cloud of poisonous gas and will do increasing damage the longer you stay in the cloud. Though they take longer to kill enemies, vapor traps can for example be placed in corridors or other confined spaces, where exploding traps would not only kill your opponents, but also do great damage to your own constructions as well. Modders which made changes to Conan Exiles’ item table could have a hard time. Many mods would include changes to this item table, as they would either tweak existing items or add completely new ones. This would make the mods incompatible with each other, and they would need to be updated every time we updated the item table as well. Update 26 comes with a new system, and modders can now make their very own item tables instead. These will now supplement our item table instead of replacing it. Modders should no longer need to update their mod each time we update the game, and no longer should so many mods be incompatible. Those interested in modding can read a more detailed description here. With this new update you can make dozens of new placeables and decorate to your hearts content! You can craft all sorts of new items, from a stylish Stygian bed, to cool new chairs, a striking stone table or a flaming Set brazier. There are four new pillows, which look great when placed on top of other placeables, such as beds or benches, and a big new carpet, which can look cool in almost any room. There is a host of new pottery pieces, like bowls, jugs and mugs, plus several new trophies, such as a massive crocodile head. 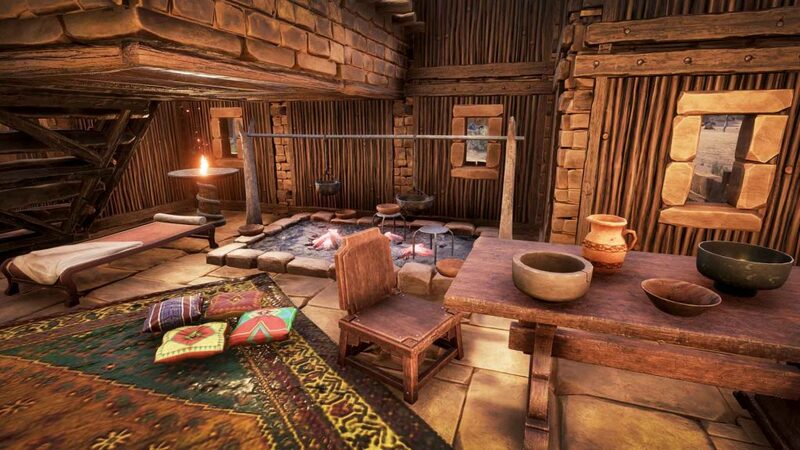 So please enjoy our newest update and make your home in Conan Exiles look cooler than ever before!